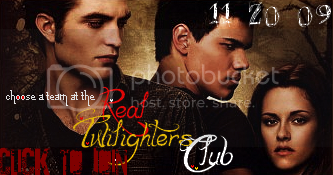 "Official newsletter from the RealѼTwilighters Club!! :D add if ur a member!! " •Boxoffice has an article listing the 20 most influential films of the decade and Twilight was included in the list! not much news. People's Choice Awards tonight! Kellan and Taylor will be at there! watch at 9 pm! •What scenes should defiantly be in the Eclipse Movie? •Are You Excited to See Robert Playing a Ladies' Man? •Summit Freaked Over Eclipse Script Leak? •Amazon has up the cover art of the The Twilight Saga: New Moon (Two-Disc Special Edition) DVD and The Twilight Saga: New Moon (Blu-ray)! •Stephenie Meyer on Breaking Dawn Drama: "There Is No Drama"
Login or register to add RealѼTwilightersClub| иєωsℓєттєя as your friend!